The girls and I were laughing last night about some of the (too many) strange things that happen around here. 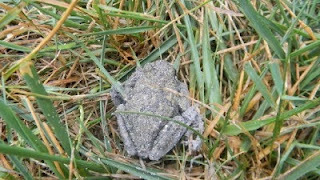 Since it is just about the right time of year--we were thinking back to one of the strangest encounters....we like to call him Santa Frog. 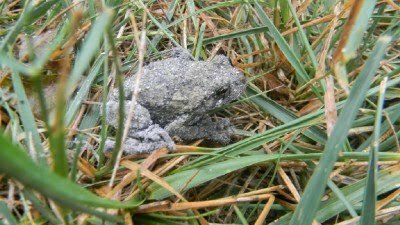 Santa Frog has been shared by each of the girls in various show and tell presentations....and since it made me smile (again) this morning--I thought I would share him (and his story, if you are interested) as this week's Wordless Wednesday Link-Up. The girls still joke that the frog was on a scouting mission for Santa to make sure that the chimney was safe! I still thank my lucky stars every day that I was able to take these photos of Santa Frog outside my living room! Eek - I am not sure I'd like finding a live frog in my fireplace LOL. Great story.... something to tell your kids about. lol that is too funny. We had a koala take up residence in our tree just before Christmas so we named him Kris. My kids would be delighted to find a frog in the fireplace. Me? Not so much lol! I love frogs! I like them because they are one thing I'm not allergic to. They are still cute. LOL That was one confused frog! Santa Frog wanted to be a part of Christmas! Very interesting. Thanks for hosting. oh its a nice story! Oh wow, the fireplace?! LOL! Someone told Santa to (ahem) hop to it! Scouting mission for Santa! That cracks me up. lol Wow, that would've been a crazy site to see. Glad Santa Frog made it outside! That is AWESOME! Merry Christmas Santa Frog! What a great story! And funny too! Have a great day! My kids would love to find a frog anywhere in our house, the yard, really anywhere! My entry is #60. Come by and vote for us 1 last time? What an odd place for a froggie! Maybe all animals are Santa's "elves"
We love Santa Frog! How sneaky of Santa to send in his frog... Although we might find it a little creepy to find a frog in our fireplace. 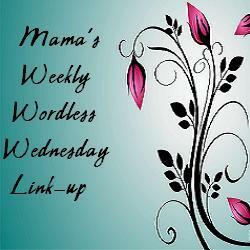 Thanks for sharing, we are featuring you on our linkup this week!